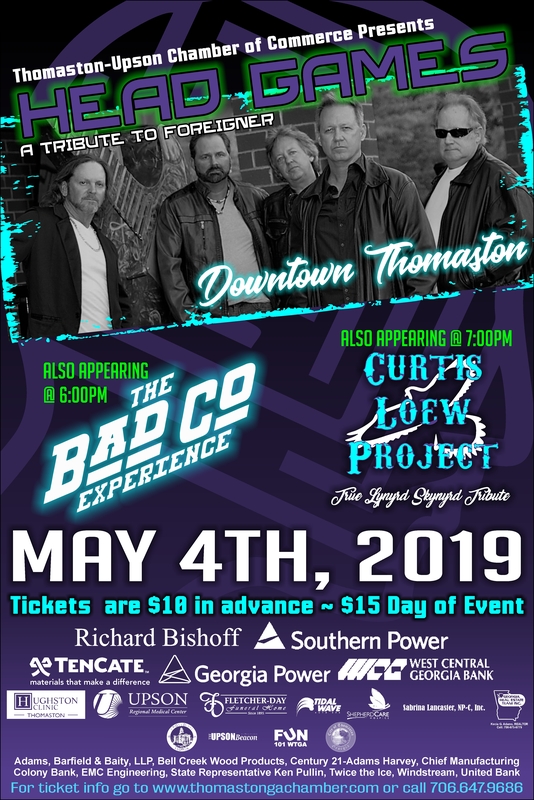 Tickets for the May 4th Concert can be purchased at the Thomaston-Upson Chamber of Commerce, Colony Bank, English's Cafe, Rescue Me Market, SouthCrest Bank-Thomaston, United Bank-Thomaston Main Branch and West Central Georgia Bank. Coming to Downtown Thomaston on Aug 2! View Photos from the May 2018 Concert in Downtown Thomaston!